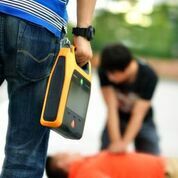 We are very excited to be given the opportunity to have the rights to distribute the Mindray Automated External Defibrillators (AEDs) as this definitely aligns with our passion around saving lives. All Mindray AED's conform with the Australian Resuscitation Council Guidelines 2016. Every year in Australia approximately 30 000 people suffer a sudden cardiac arrest away from a hospital. 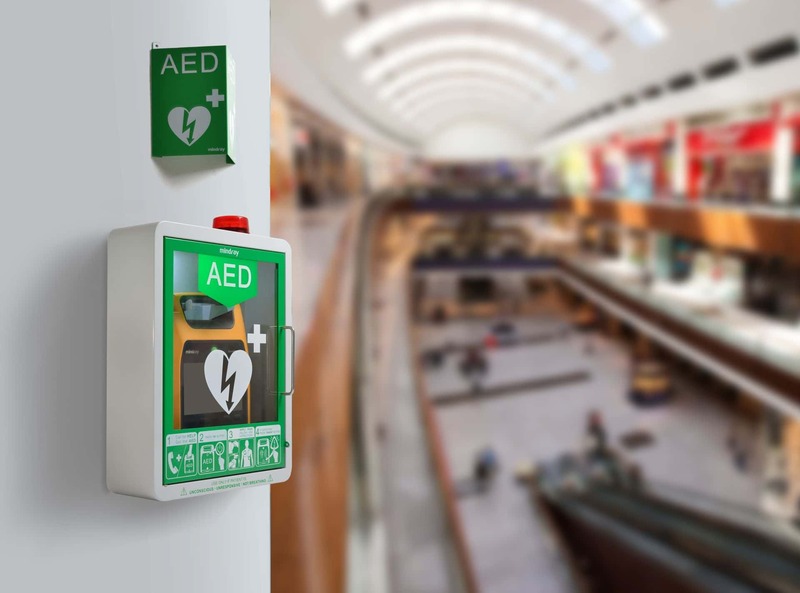 A sudden cardiac arrest can happen anywhere, anytime; in a hotel, at a sporting event, at the beach, at work, in a shopping centre, at the airport or at home. In Australia, the overall survival rate from a cardiac arrest is 9-10%. The time to defibrillation is a key factor that influences survival. For every minute defibrillation is delayed, there is approximately 10% reduction in survival if the patient is in cardiac arrest due to 'shockable' rhythms. The development of easy to operate AEDs has led to defibrillation being included in basic life support teaching. AEDs can accurately identify the cardiac rhythm as 'shockable' or 'non-shockable' and provide verbal and visual prompts of the next steps. 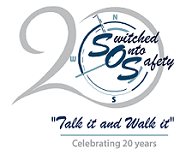 SOS-Switched Onto Safety believe it is feasible to target a survival rate of 50% or above, which translates into some 12 000 or more Australian lives saved every year with our Heart Safe Environment program. This represents 12 000 devastating personal tragedies we can avoid and significant social and economic savings. See further details below regarding our AED Trade In offer. We need your help, to help us create more Heart Safe Environments across Australia. For the cost of a 'coffee a day' or 'monthly mobile plan' your organisation too can be a part of this Heart Safe Environment program. That way AED's will be in more places allowing anyone and everyone to simply, safely and effectively help someone save a life. 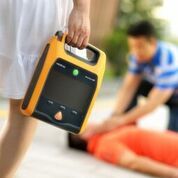 Our Mindray D1 Defibrillator has the latest technology to assist in a crisis, its affordable, reliable and easy to use. FACT: More Australians die of Sudden Cardiac Arrest each year than those that die of Breast Cancer, Prostate Cancer, AIDS, Road Accidents and House Fires all combined! Can you afford not to have one? TRADE IN: We want you to have best chance of saving a life. We are offering $300 cash back for any AED you trade in to upgrade to a Mindray Defibrillator. Contact Us here for further information. 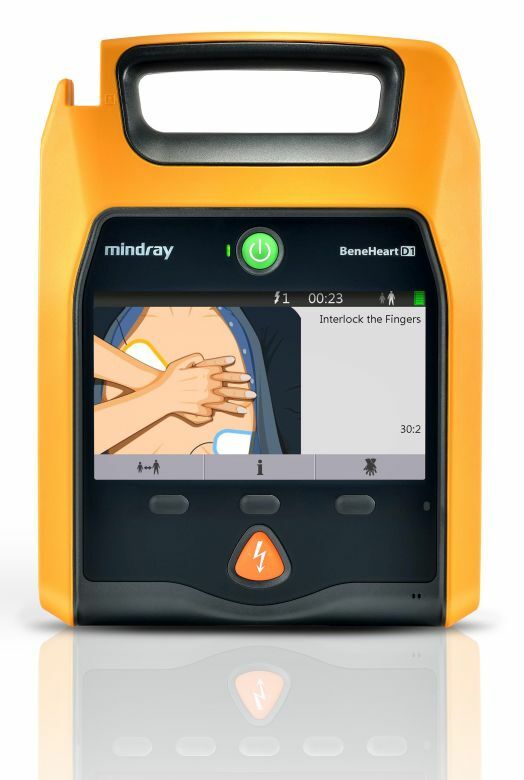 The Mindray Beneheart D1 Public Semi Automatic Defibrillator helps you to respond to Sudden Cardiac Arrest in a variety of locations. It is designed to be reliable, simple and easy to use by any rescuers. 7-inch TFT display offers clear guidance with colour animations. Auto-adjustable volume and screen brightness allow you to comfortably use D1 in a variety of environments. 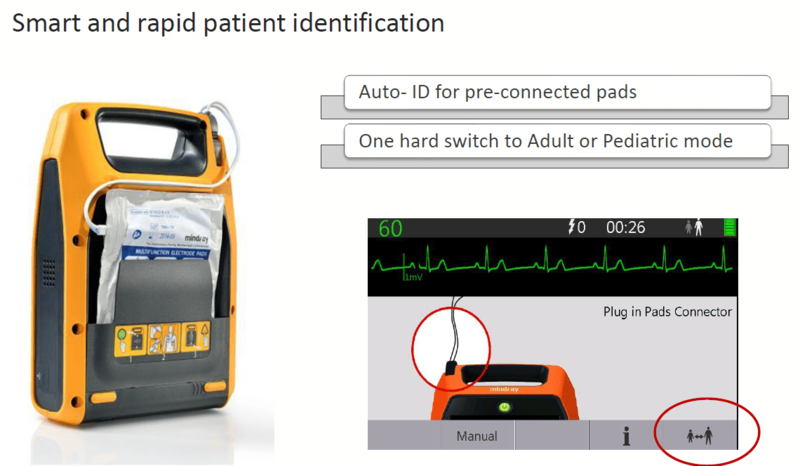 Pre-connected pads save time, and the pads connector can auto-identify patient so that a lower energy dose is delivered to paediatric patients. Keep in touch with upgrade and trade-in offers.